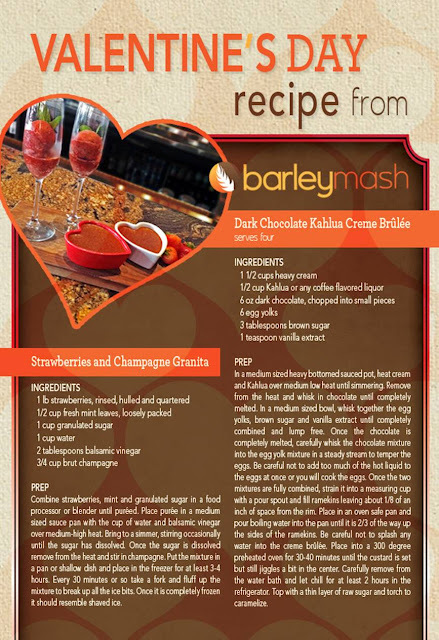 Recipes for Valentines, courtesy of Barleymash - San Diego Dining Dish! The amazing folks over at barleymash shared these recipes for Valentine's Day (or any special occasion) with me, and I thought that I would pass them on! Yum!